The new Premium Edition of Amiga Forever! The Amiga computer, launched by Commodore in 1985, combined superior multimedia technology with ease of use, inspiring millions of the most creative and enthusiastic computer users ever. 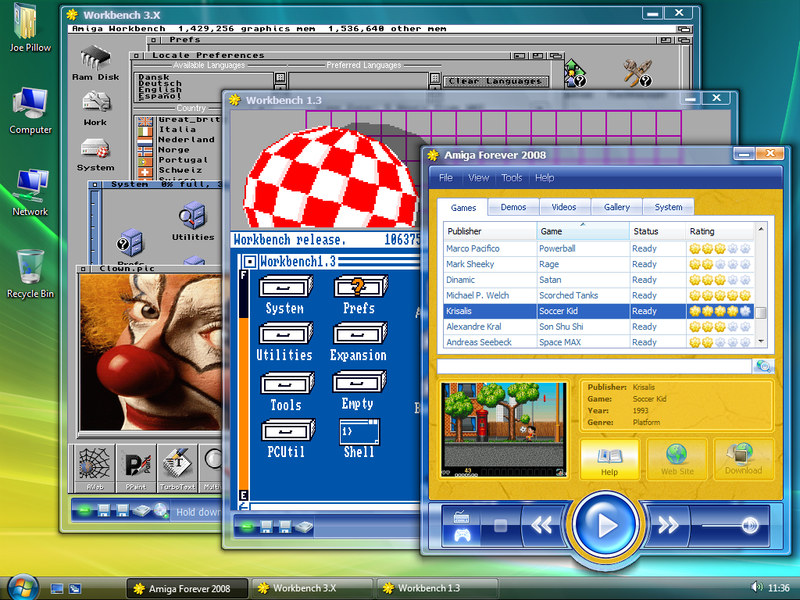 Amiga Forever is the award-winning Amiga preservation, emulation and support package brought to you by Cloanto, Amiga developers since 1986. This Premium Edition blends high-quality software and original content with the ultimate set of videos to chronicle and let you experience firsthand the history, culture, challenges and passion behind the Amiga. New Build Image feature (Tools menu of Plus Edition), to create personalized ISO images (burn to CD or DVD) and portable environments (e.g. to run from USB storage). 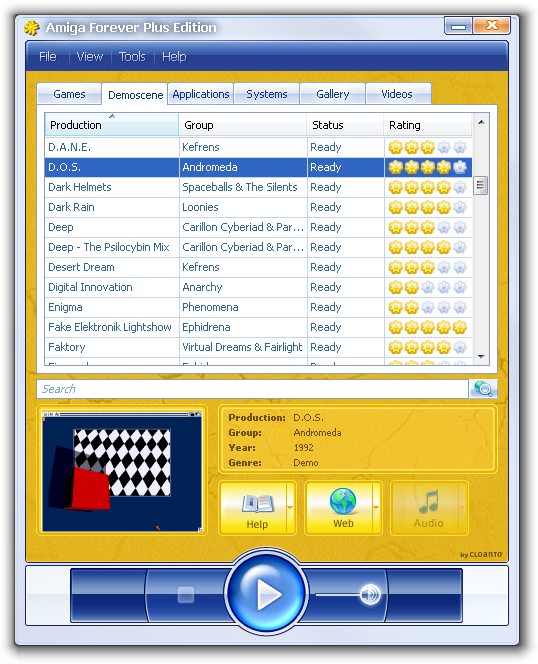 This is similar to the "old" Amiga Forever media, except that the content can now be updated and customized. Support for third-party "RP-Image" templates, to generate bootable content, etc. Documentation is available. New RP9 thumbnail provider for Windows is pure eye candy. This accompanies new and faster Open, Edit and Convert to RP9 commands accessible directly from File Explorer, to offer a better content experience outside the player. New visual Screen Clip Editor, for easy adjustment of Amiga screen mode settings. WinFellow is now available as an additional RetroPlatform-enabled emulation plugin. You can click any compatible title and select "Play with/WinFellow", or select plugin priority and additional options in the Amiga Forever Emulation settings. Brand new Personal Paint 7.2 preinstalled in Workbench 3.X environment. Updated AROS and other content. Enhanced RP9 Editor, with new media mount options and dozens of new features. Integration with social networks for "Now Playing" updates, manual posts and screenshot uploads. 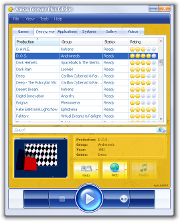 * Emulation software for Windows is ready to run (from medium or after installation, no additional downloads required). ROM and OS files can be used for emulation on other platforms (e.g. Mac OS, GNU/Linux, etc. ), but may be unsupported and may require download and manual installation of additional free software. Due to hardware differences, Amiga floppy drives and some other peripherals cannot be connected to non-Amiga hardware, even if running an emulation. ** Automatic updates and additional downloads require internet connection. *** Experimental feature for advanced users. May not work on all hardware. C64 aficionados should also have a look at Cloanto's second emulation package: C64 Forever 2014.